I’ve made quite a few paper peonies over the years! 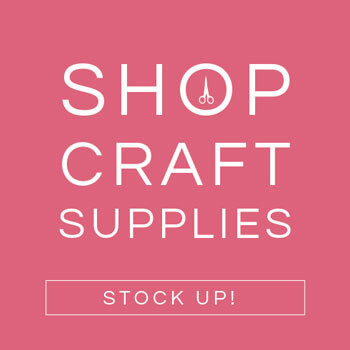 In fact, they are one of my favorite flowers to craft. I’ve made frosted paper peonies, felt peonies, and more. 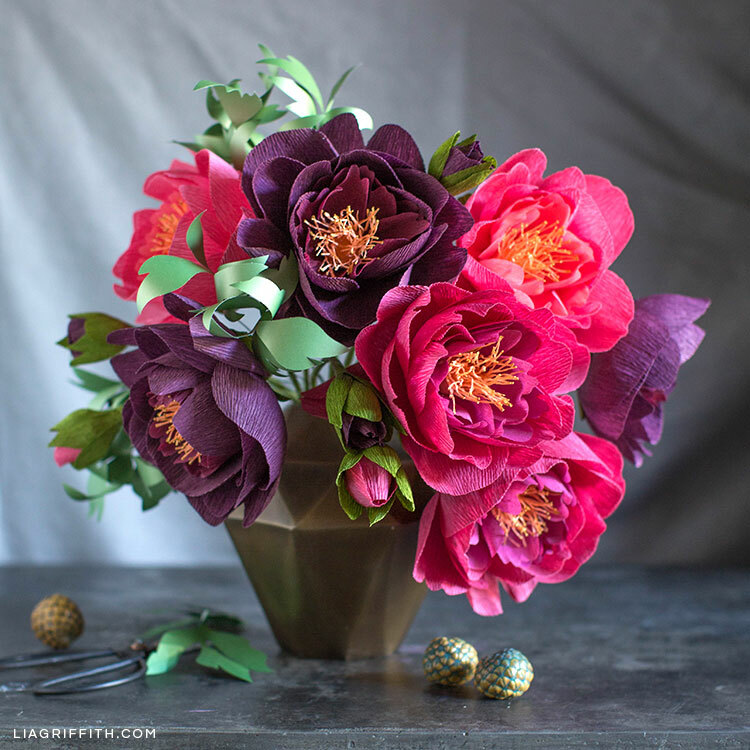 Today I’m showing you how to make crepe paper peonies in fall colors. Just watch my video tutorial below! 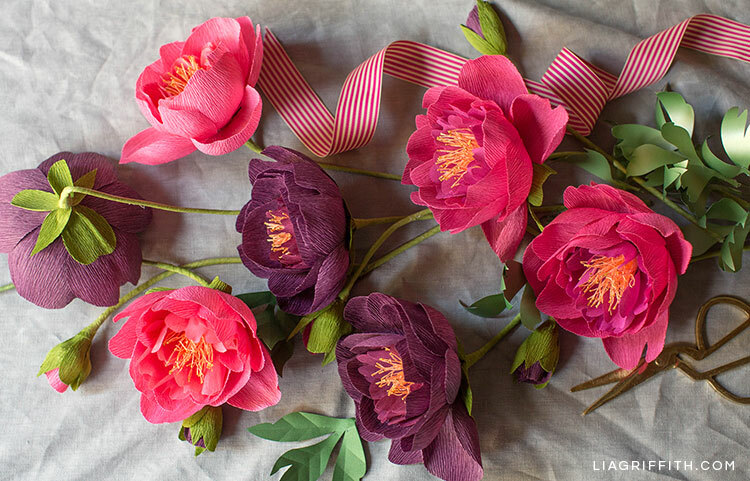 In my latest Lia Griffith Craft School video tutorial, I show you how to make these full-bloom peonies as well as the peony buds using my heavy crepe paper. You can also use extra fine crepe paper as an alternative. I also share lots of great flower-making tips in this video! You’ll learn how to stretch, shape, and layer your petals. As you may know, I like to add variety to my petals so they don’t all look the exact same. I’ll go over how I do that as well as how to curl your fringed paper to create the stamen pieces. Finally, I show you how to add sepals and how to tape the stem of your peony. If you want to make multiple peonies at a time, I also share a tip on how to do that a little more quickly. When you’re ready to make your crepe paper peonies, just gather the tools and materials listed here. 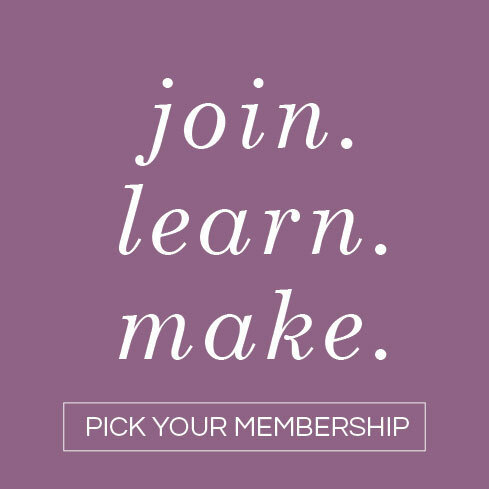 Next, download the peony SVG cut file or printable template below. 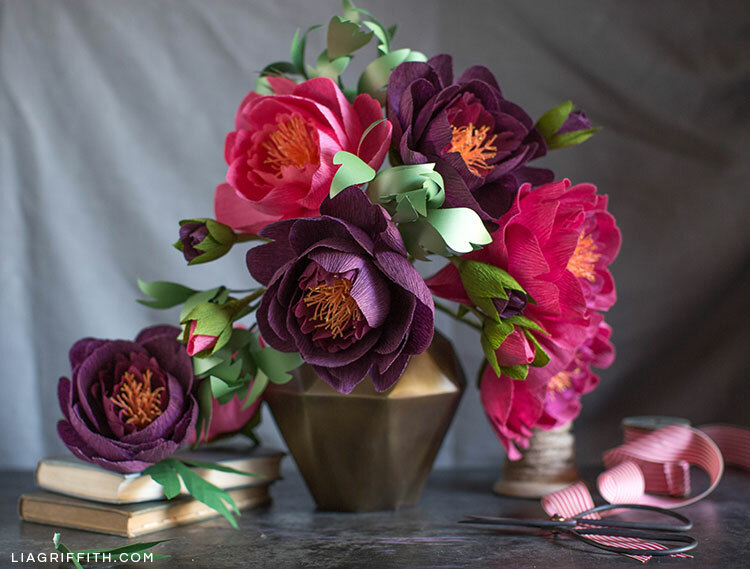 Then watch my video tutorial on how to make crepe paper peonies. 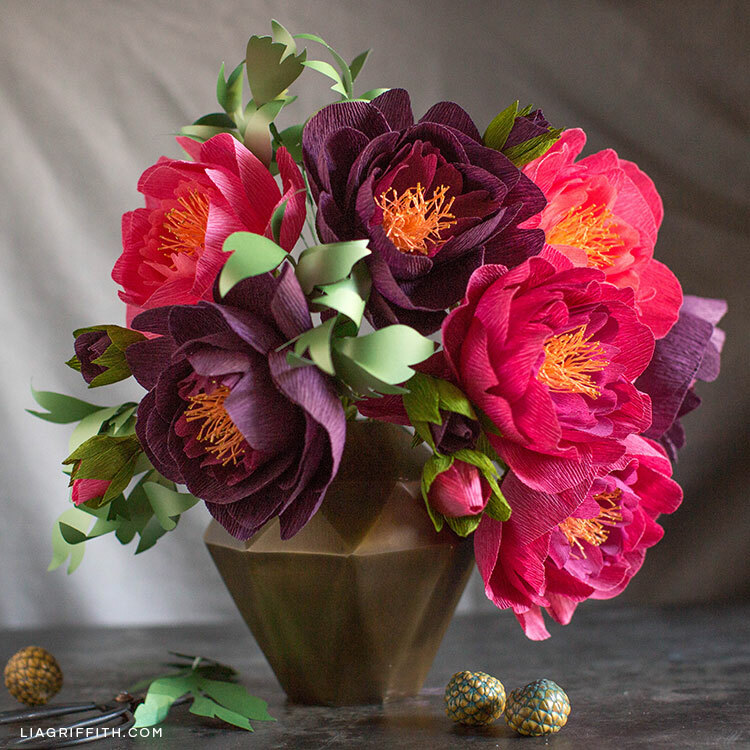 Watch the video tutorial below to learn how to make crepe paper peonies in fall colors. The template does not include the yellow for the stamen? Hi Julie! It’s the long rectangle in the SVG file. I also have trouble with the svg file – when I open the file in design space, the stamen is not included. 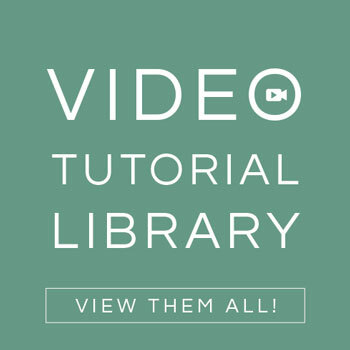 I can see it in the thumbnail image, or if I open in a different program, but the upload into design space it’s not there. If there is a way for me to submit an image, I can do that. How bizarre! I just uploaded a new file, give that one a try. Beautiful peonies. Where can I find the pattern for the paper leafs?